Renault revealed the new Duster Oroch, a concept based on the Romanian SUV manufactured in Pitesti. The prototype anticipates a future pick-up of the French manufacturer for the South America market. Last month Dacia presented at the Paris Motor Show the new Lodgy and Dokker Stepway and this month the Romanian and French car manufacturers are ready to offer a new surprise, this time for the South American market. At the Auto Show in Sao Paolo, the largest event of its kind in Latin America, with nearly 750,000 visitors last year, the new concept will be in the spotlight. It is called Duster Oroch and is presented under the Renault logo, given that all the Dacia models sold in South American countries use the Renault brand. As the name suggests, the Oroch concept is based on the Duster SUV, successfully reinterpreted by the Renault design department in Latin America, under the direction of Laurens van den Acker. 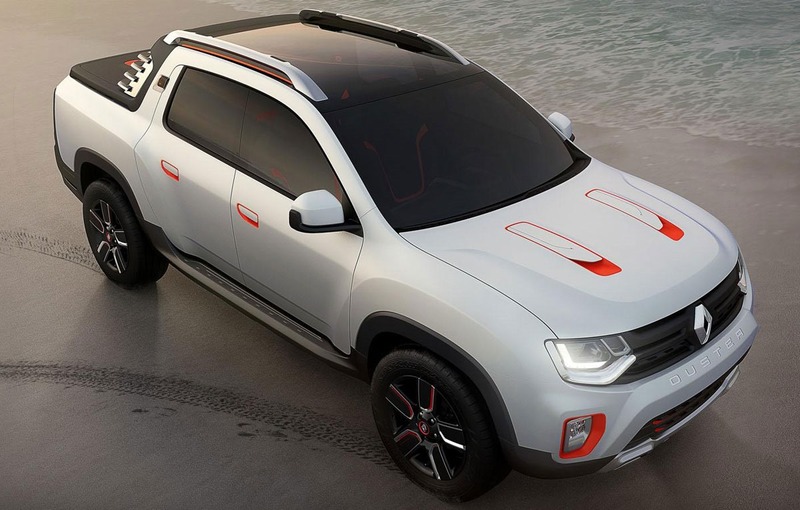 The Duster Oroch Concept has a design that attempts to prove that Renault plans to introduce a pick-up SUV model in the coming years, in the Latin American market, where such models are in high demand. 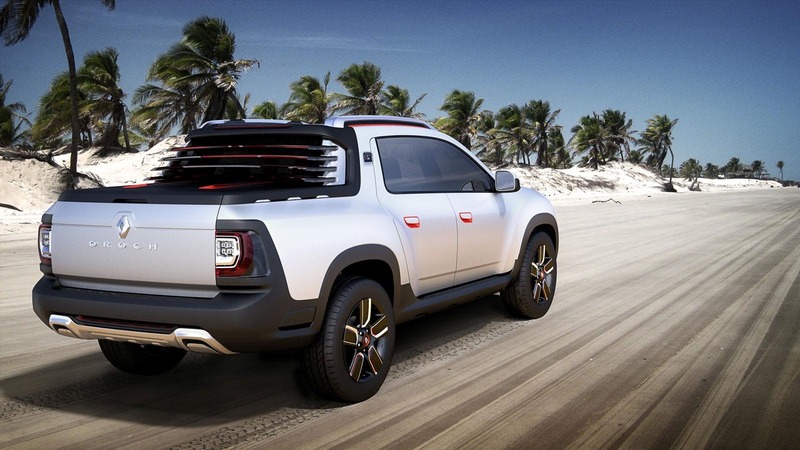 In other words, we could see a Duster pick-up model in the southern part of the American continent, after Dacia has manufactured a limited series model with a local Romanian partner. 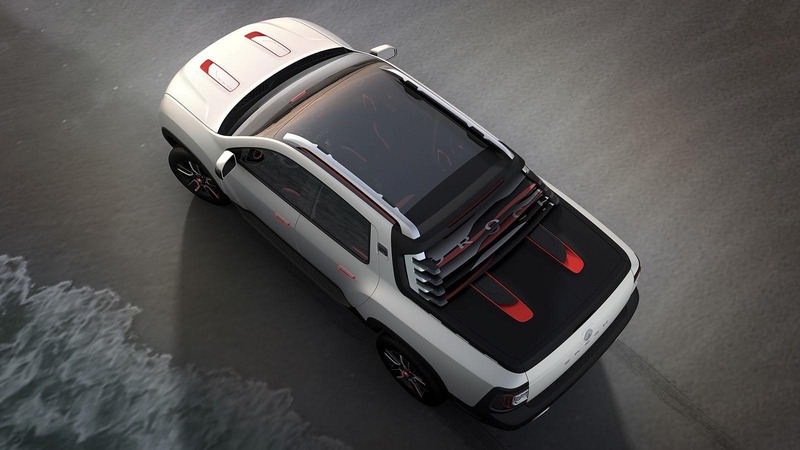 The Duster Oroch concept will be a double cabin pick-up, capable of carrying five passengers, and will have a satin white body color combined with orange inserts that suggests a connection with the kite surf sport from that is inspired. Unlike the classic Duster, the Oroch concept comes with redesigned front and rear spoilers, with a panorama roof and roof railing, and 18-inch wheels. At the rear, the concept uses two cameras able to capture frames while driving, projected in real time on the screen in the center of the dashboard. 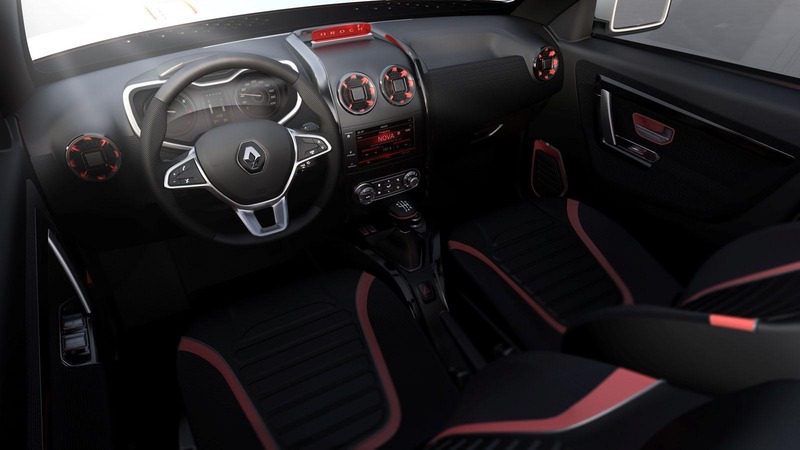 Also inside, Renault claims that the seats were built by a special technique, which makes them more durable and more comfortable. In addition, they are upholstered with a durable material that mimics the neoprene.